In the landmark Star Wars novel Heir to the Empire, published in 1991 and written by Timothy Zahn, the character Grand Admiral Thrawn gained infamy as an alien who not only excelled in the xenophobic military of Emperor Palpatine, but even succeeded him as ruler. 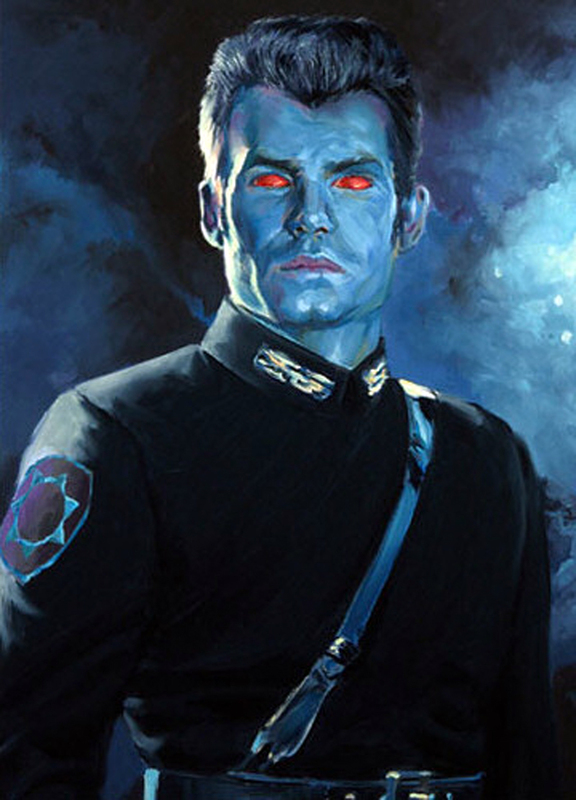 Historically, Thrawn has been perceived as something of an enigma — the lone alien of the Galactic Empire. However, the brilliant, red-eyed Chiss strategist was neither the only nonhuman to serve Palpatine, nor even the first. 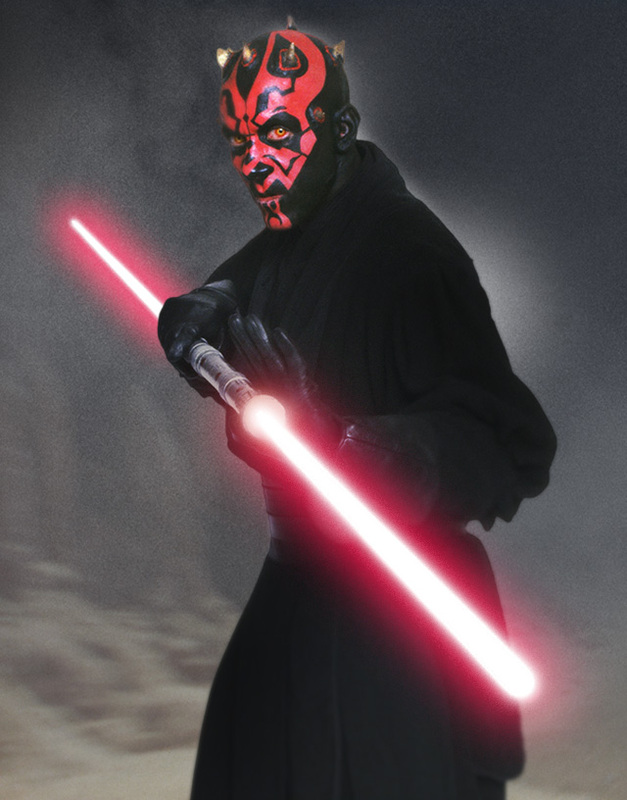 Darth Maul, Dark Lord of the Sith. Darth Maul, Thrawn, Mas Amedda: These were but the best known of the loyal aliens that served Darth Sidious and his regime. What is an “alien?” Someone from another world? Someone who looks different? Someone who doesn’t speak one’s native language? Someone with three eyes or ten claws? Truly, the definition seems to depend upon one’s own point of view. The Hutts, for one, view themselves as the rightful masters of the galaxy and everyone else as second-class lifeforms. Grand Admiral Thrawn (originally Mitth’raw’nuruodo). But in the Star Wars galaxy, where humans have most frequently ruled, both in number and power for millennia, “alien” came to mean “anybody who isn’t human”: a view that became enshrined in Emperor Palpatine’s dictatorship. The designation NhM, for “Non-huMan,” was cooked up, reflective of Imperial attitudes and internal policy. The dehumanizing label — which bunched mutants, droids, animals, and even women in with the “weirds” — was an expedient way to classify and marginalize the rest of the galaxy. Near-humans encompassed a wide variety of species, from Arkanians to Zelosians. Aliens are one of the most fascinating aspects of the Star Wars saga. They look strange, sound strange and act strange — all things at odds with another iconic element of Star Wars: the martial order and perfect conformity of the Galactic Empire. 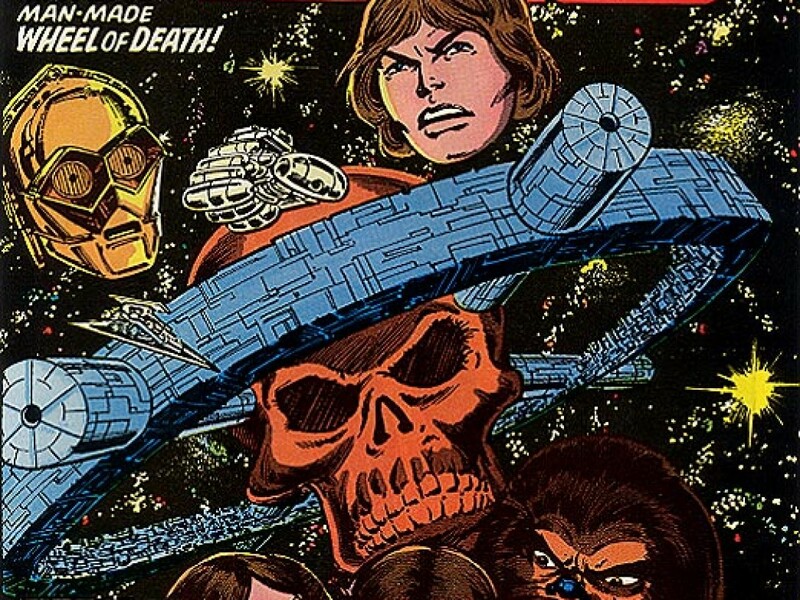 This series sheds a light on some of the most notorious alien henchmen of the Empire to straddle these worlds, drawing upon the films and the Expanded Universe. In the days that the triple-eyed orphan Trioculus was bullied and taunted while growing up in the pueblos of Kessel, never did he imagine he would one day become Emperor of the known galaxy. Strikingly handsome and eloquent, Trioculus seemed the product of an elite Imperial upbringing. But the truth was, in reality, much darker. Unbeknownst to him, Trioculus was actually the artifact of radical scientific experimentation into the quintessence of life, supervised by Chancellor Palpatine’s advisor Sly Moore. Utilizing a Bordali woman named Niobi as a “test subject,” these experiments were initially unpredictable, resulting in asymmetrical homunculi with extra heads and partial appendages. But eventually, the scientists eradicated all harmful mutations in their successful exemplar save one: a third eye. Thus was born Trioculus. This extra optical organ exhibited a powerful hypnotic quality and was located square on the forehead. Legends of the Prophets of the Dark Side had it that the will of the Force produced a perfectly symmetrical three-eyed being once every millennium whose magnetism and power were undeniable. But whether that being was Trioculus was another matter and beyond science. In any case, Trioculus was quickly thrust into a life of slavery and toil. 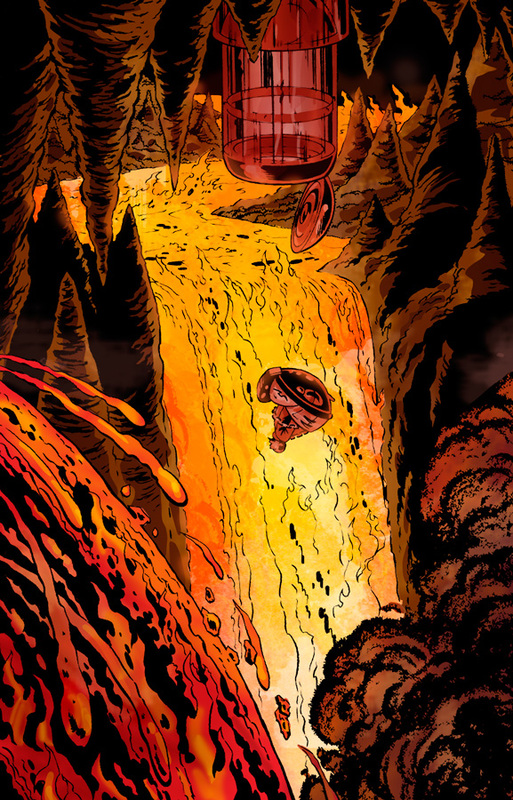 His mother Niobi was deported to the spice mines of Kessel, along with her newborn son. However, under the cruel power lash of Lord Overseer Reskell Twane — who was a stooge of Jabba the Hutt’s — she ultimately died in the unforgiving mines. Perhaps because of the boy’s intelligence, Twane took pity, bringing Trioculus under his wing and sending the youngling to school. But the boy mutant was shunned and harassed by his peers. He took feverish refuge in the world of literature as a result, particularly as pertaining to warfare. 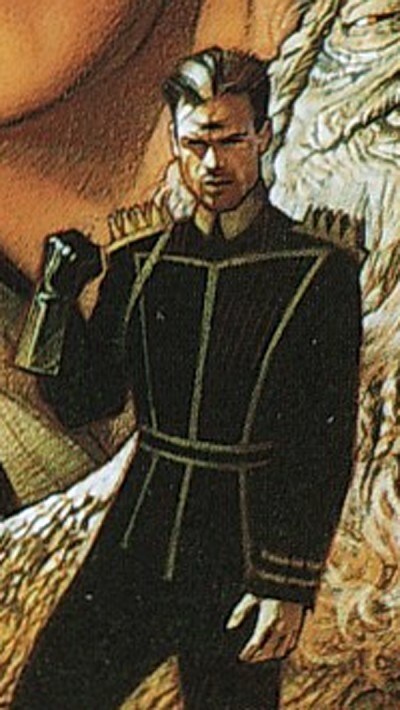 Trioculus grew to become an expert in military and political theory, which naturally led to a fervent devotion to the Empire. When he rooted out a Rebel cell that had been suspected to inhabit his village — a cell that just happened to contain several of his former schoolyard tormentors — Trioculus gained the attention and friendship of sector Grand Moff Bertroff Hissa. Yet, Trioculus’ relationship with the infamous spice mines of his infancy, and with his racketeering surrogate father, remained complicated. 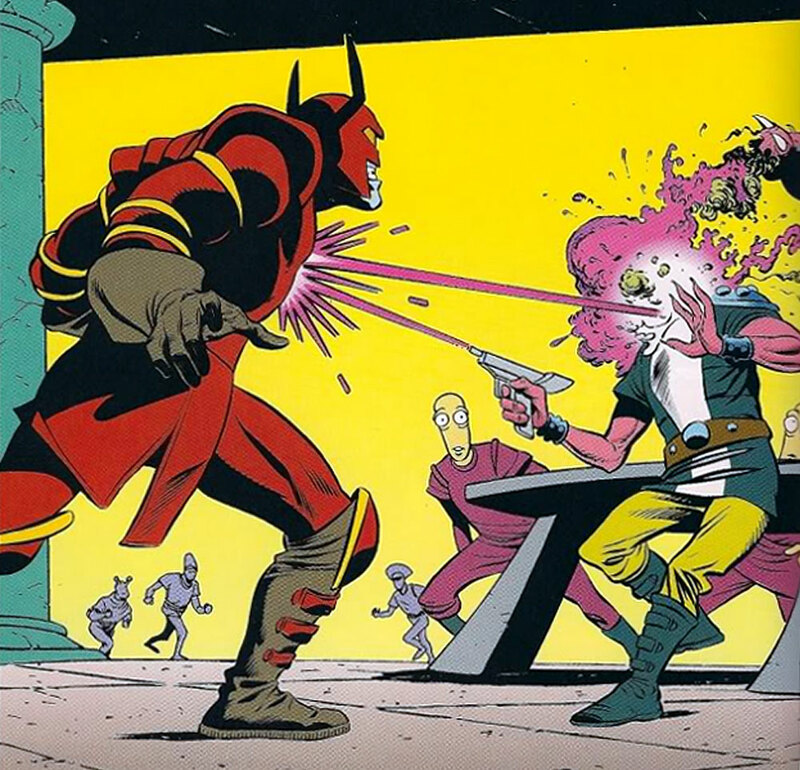 Eventually, Lord Overseer Twane granted the mutant’s petition for employment, and the embittered savagery Trioculus showed the prisoners knew no rival. Then, after the unexpected death of Warden Commander Dewt Kluskine, on the opposite side of the misshapen planet, Twane transferred into that slave lord’s vacated position while Trioculus rose to the rank of Lord Overseer and Supreme Slavelord. But following the death of Jabba, Twane’s prisoners — inspired by a previous riot led by crimelord Tyber Zann — revolted, and a corrupt Rybet administrator named Moruth Doole captured Twane and offered him to Trioculus in exchange for control of the Supreme Slavelord’s hemisphere of Kessel. 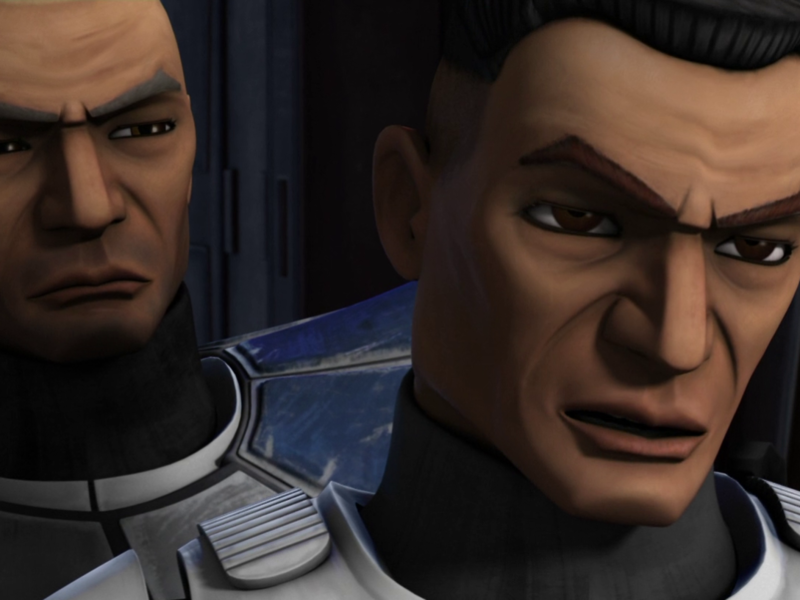 When Trioculus asked Hissa what he should do, the Grand Moff told him that a loyal Imperial never caves in to threats. 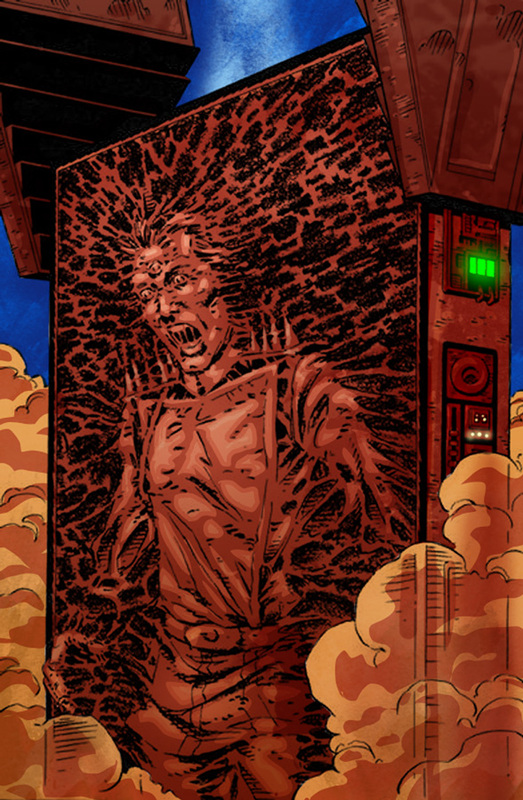 Thus, Trioculus refused — and Doole had the mutant’s caretaker fed spice grubs and carbonite-frozen amidst his screams of agony. Trioculus had no regrets. Having seen what Trioculus was made of, Grand Moff Hissa approached him with a proposition: Palpatine was dead, but he had long been rumored to have a mutant son with three eyes. How were Trioculus’ acting skills, Hissa wondered? Triocolus accepted the challenge and posed as the late Emperor’s son. 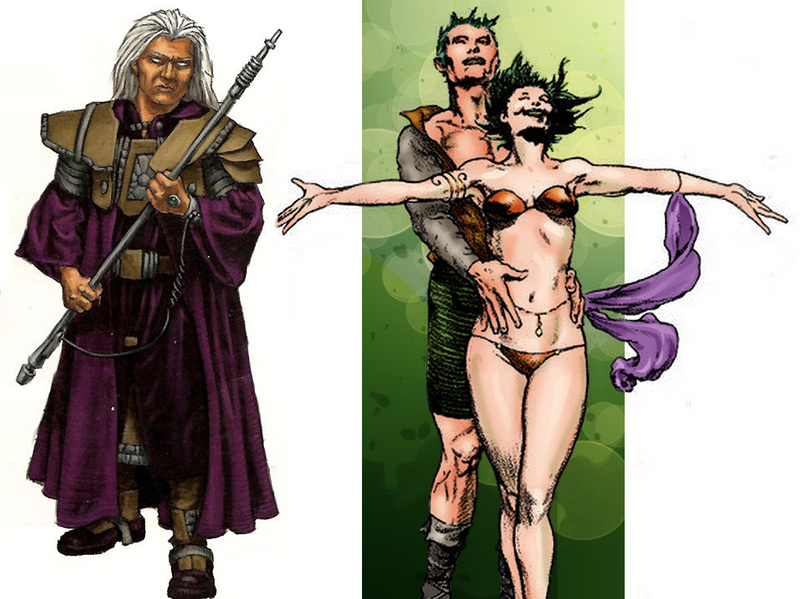 In the year following, the mutant became embroiled in a multi-sided struggle with Imperial Intelligence, the Imperial Council, renegade Grand Admirals and the cabalistic Church of the Dark Side for dominion of the galaxy. Improbably Trioculus emerged victorious, though he found his reign a short one when his rivals now froze him in carbonite and when the dark power of a Sith amulet worn by Darth Vader began rotting the flesh of the mutant’s hand. Yet, his greatest mistake was his attempt to force Princess Leia to become his new “Queen of the Empire,” which resulted in a deadly Rebel trap that proved not even a third eye can foresee every danger. His heart still smoking from a fresh blaster wound, Trioculus gripped Hissa’s hand and urged his mentor and longtime friend to avenge him. Hissa faithfully had Emperor Trioculus’ body ceremonially cremated and blasted his remains to the proverbial four corners of the galaxy. Trioculus’ unwitting courtship of a Princess Leia replica droid ends in heartache. 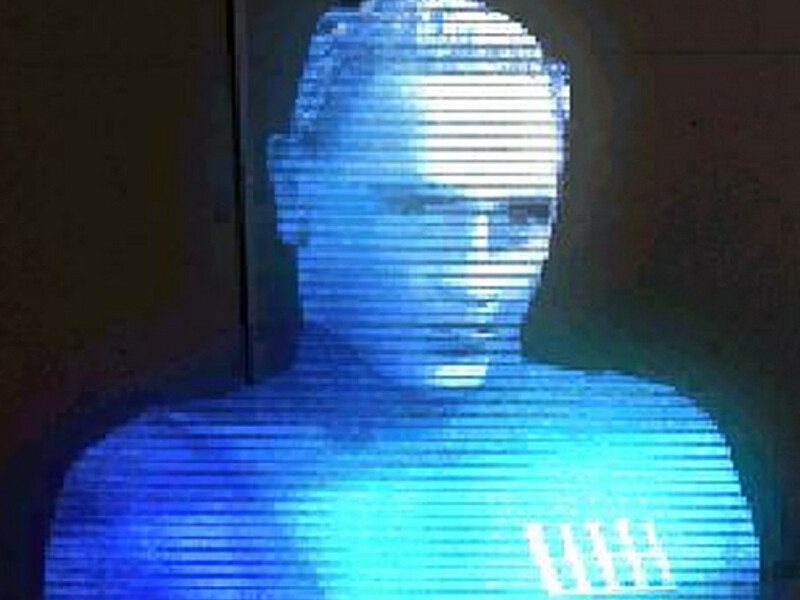 Perhaps the most surprising of all aliens serving the Galactic Empire is Bertroff Hissa, who attained the remarkably high rank of Grand Moff. Hissa was a young man when the Empire came to his homeworld, the uncharted PL-40112-CE-021105 in the Salfrem system within the forbidden Wild Space region known as the Wastes. His alien mother and father were former political agitators and counter culturists who had decided to settle together into the “simple and natural” hard-scrabble life that the barren planet offered. But when Imperial surveyors came — bringing their humanoid biases with them — they awoke an ancient crash-landed horde of ghastly Rozzum: inter-dimensional monsters once allied with the bygone Order of the Terrible Glare and more alien than anything any of them had ever seen. Outnumbered, the swart commanding Imperial officer conscripted Hissa and his parents into their ranks. Side by side, humans and near-humans vanquished the phantasmagoric swarm, but only Hissa and the ranking Imperial officer, Commander Panaka, survived. 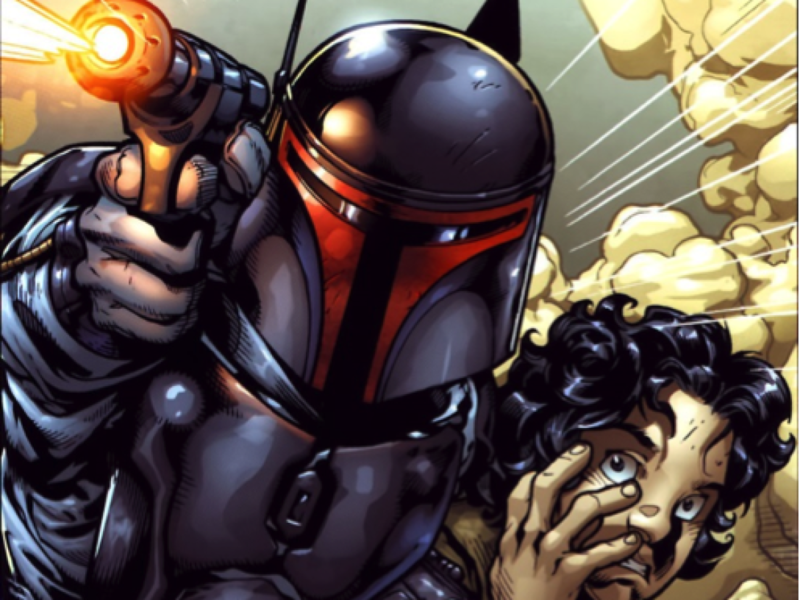 Thus, Hissa began his long and unlikely career in the Empire. Within the military, he faced crushing prejudice, but Panaka fought for the alien and kept him on course until the Naboo native’s own promotion to Moff. At first glance, one might not even realize Hissa possessed nonhuman origins, as his exterior countenance and physique — not to mention his balding head — seemed well within the normal range of human characteristics. The goateed Grand Moff had only to smile, however, to hint at his alien side. Razor-sharp teeth, pointed and deadly, filled his wide mouth, giving him the appearance, when smiling, of a rabid predatory animal. Although some believed Hissa’s dentition proved he carried Devaronian or Pau’an genetics — or, indeed, that he had lopped off his own Twi’lek brain tails — these rumors were wholly erroneous. Actually, he had started them himself. Incredibly, Hissa purposely filed down his teeth into points, knowing this horrifying visage tended to intimidate others. 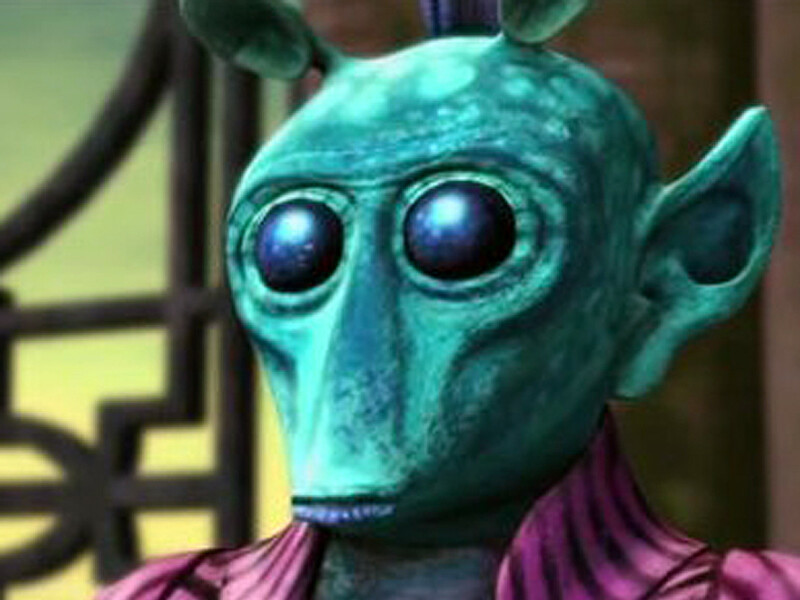 In fact, the Grand Moff rarely discussed the true source of his alienness: the Sephi heritage that gave him his distinctive tapered ears. 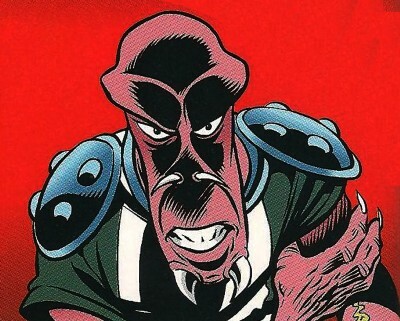 During the conferences he held with his peers aboard an Imperial strike cruiser codenamed “Moffship,” he learned they were a largely xenophobic bunch and used his ghastly aspect to turn his appearance from a hindrance to an advantage. Grand Admiral Rufaan Tigellinus, in particular, seemed patently allergic to the merest whiff of alien blood, and the arrogant naval officer never spared Hissa his disgust — something the Sephi would never forget. Hissa comforts his dying Emperor and pupil. Hissa’s lucky break seemingly came in his partnership with the three-eyed slave lord Trioculus. Because Hissa and Trioculus shared the distinction of not being entirely human, a friendship quickly formed between the men, both of whom knew what it was like to be an outsider. Hissa’s isolated upbringing had largely made him a loner, and he did not form friendships lightly. Aside from Trioculus and a few fellow Grand Moffs, his only close friend was Governor Quorl Matrin of Stenos, who shared his interest in archeology before the religiously zealous Stenaxes rose up and killed the man. Following the Emperor’s own unexpected death, Trioculus conspired with Hissa and the Central Committee of Grand Moffs to rule the Empire under the guise that the mutant was Palpatine’s long-lost son. However, Hissa was severely disfigured on the planet Duro when hazardous waste materials from the Imperial dumping grounds of that planet flooded the Valley of Royalty. A misstep caused the Grand Moff to fall into the toxic waste, which rapidly ate away much of his body. 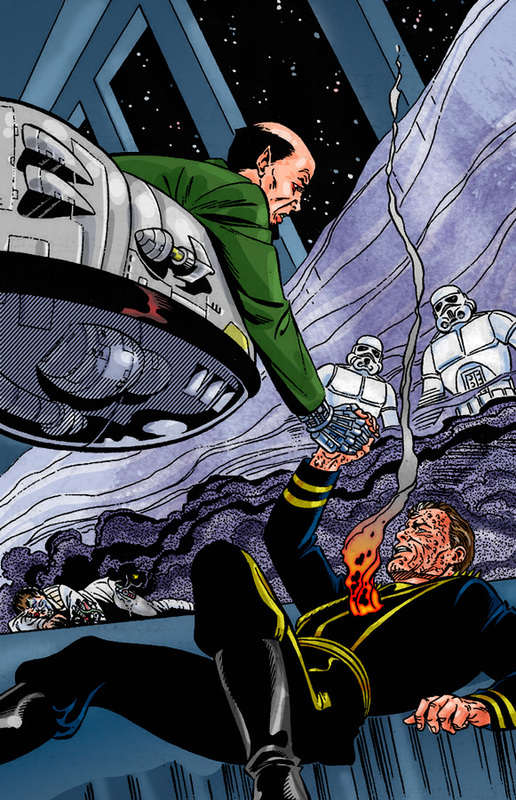 Rescued before the corrosive funk could kill him, he tolerated excruciating pain as his arms were replaced with those of a JMM assassin droid, his torso encased in a hoverchair. Afterward, the powerful clergy of the Church of the Dark Side, furious at having been deceived regarding the identity of Palpatine’s son, arrested and tortured the Grand Moffs involved in the plot. Hissa was starved aboard Space Station Scardia until he was very near death. Hissa’s execution was scheduled to come in the form of a final meal of biscuits loaded with spice grub parasites to consume him from the inside out — just as he had allowed happen to Trioculus’s surrogate father. However, the Supreme Prophet of the Church of the Dark Side gave him a temporary reprieve from his sentence, sending the Sephi to Yavin IV to investigate a report of the fabled Lost City of the Jedi. In a false entrance to the hidden city, however, Hissa slipped and was incinerated in a pit of molten lava. The pointy-toothed villain had finally bitten off more than he could chew. Hissa learns a razor-sharp lesson in the Lost City of the Jedi. As the Empire’s top consulting weapons specialist, with a reputation as the greatest living authority on offensive devices in the galaxy, the Pantoran known as Kosh Kurp was one of the Empire’s most reliable agents. Born and raised on the planet Intuci, in the city of Bonaka Nueno, Kurp was the lone survivor of a bloody Imperial raid on his village. This strapping, azure-skinned humanoid wore rare crimson man-o’-war body armor of Iskalonian origin and a matching helmet with two blunt horns housing a variety of sensors and other wireless devices. Two rage-filled eyes were hidden beneath a low-lying visor that left only his mouth and jutting chin visible. Sent to the hideout of the Bah’r Kilido criminal kingpin known as the Gaar Suppoon to investigate a bomb threat from Jabba the Hutt, Kurp did not realize he himself was the “bomb” in Jabba’s plan. Jabba had learned that his longtime rival, the Gaar, had once served as the governor of Intuci under the alias Sonopo Bomoor, buying off the Empire with embezzled monies and ruling the planet with a tyrannical hand. Food shortages on the planet — caused by his own hording of Imperial resources — resulted in widespread rioting, and to maintain order on the planet lest the Emperor investigate his operation, Bomoor decided to eliminate an entire city so others would have enough to survive. Kurp never forgot the name of the monster presiding over his family’s massacre, and spent the next two decades tracking Sonopo Bomoor down, vowing to make him suffer a prolonged and agonizing death. During this time, he learned as much as he could about various types of weaponry so he could inflict the maximum damage to Bomoor without killing him, until the time was right. 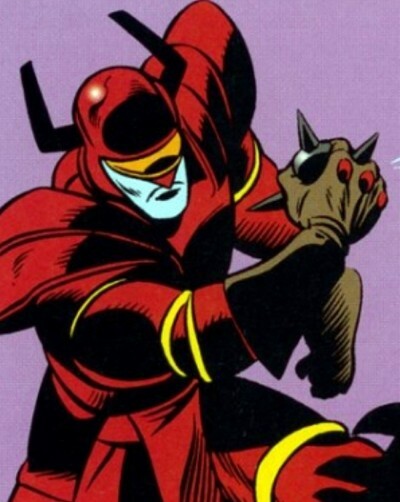 Unfortunately, after retiring the governership to focus his energies into an underworld empire, the Gaar reverted to his real name, Suppoon, and Kurp was unable to find him. Bah’r Kilidos, after all, were a decicred a dozen in the galaxy. 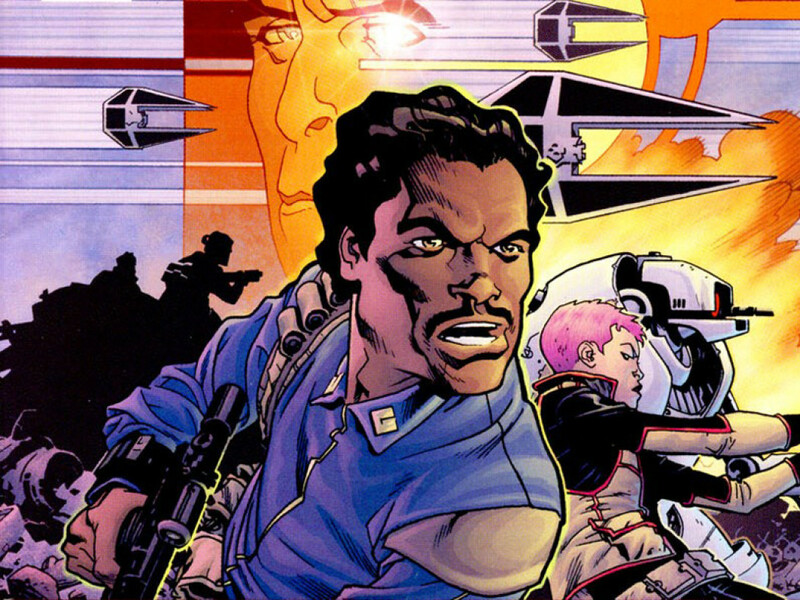 Kurp eventually came to serve the Empire, having learned so much about weapons that he was able to leverage a career as a weapons specialist. But still Kurp had no luck in locating his hated enemy — at least, not until Jabba secretly intervened. By threatening to plant a bomb in Suppoon’s palace, Jabba knew Kurp would be called in to deal with the situation, as the Gaar still had many connections among the Imperials, affording him special treatment. After two days spent searching for the bomb, Kurp announced that no bomb had been planted. Satisfied that his old rival had merely been bluffing, the Gaar invited Jabba to a Bah’r Kilido jubjub ceremony and opened negotiations with the Hutt to trade an un-milked female tromonid for the Pontak Hypergland. A byproduct of one Dr. Pineas Pontak’s ambitious desire to pinpoint the precise location at which the body and soul come into communion within sentient beings’ brains, the man-made Pontak Hypergland prototype organ synthesized a variety of bodily secretions from a wide range of species, potentially revolutionizing the field of inter-species medicine. Jabba the Hutt and Gaar Suppoon: the long con in progress. Jabba sweetened the deal by offering Suppoon Dr. Pontak himself, whom he’d captured and sedated since the Gaar was so fascinated with his work. All he asked in return was a male tromonid. Selling a female and male together was highly illegal — after scientists discovered the tromonid during an expedition to Rywin, the species had overpopulated five worlds in a matter of months due to its unusually potent reproductive cycle, resulting in very strict regulations regarding its transportation. Regardless, the appeal of possessing both Pontak and his Hypergland was too much to resist, and Suppoon relented. Each criminal outsmarted the other, however, for the male tromonid was sterile and Pontak’s brain had been removed, his body kept functioning (and remotely controllable) by a cranioport hidden behind the man’s left ear. When the deadly tromonid bit Suppoon, Jabba offered him an antidote in return for Pontak’s brain, the Hypergland, the tromonid and ten korgs of spice. 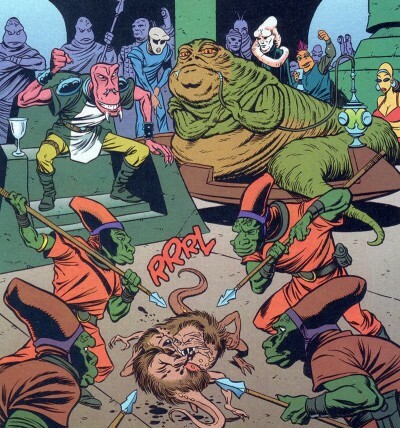 With little choice, the Gaar accepted, but he soon turned the tables on Jabba, taking the Hutt and his entourage prisoner. At that moment, Jabba played his best card, igniting his “bomb” by addressing the Gaar by his alias, Sonopo Bomoor, in Kurp’s presence. Stunned to learn that his employer was, in fact, his lifelong quarry, Kurp turned on the startled Bar’h Kilido, who tried to shoot him in defense. The laser bolt ricocheted off Kurp’s armor, utterly blasting off Suppoon’s own head, much to the bomb expert’s frustration since he’d yearned for the chance to torture Bomoor as he’d once tortured Kurp’s family. Kosh Kurp finds his revenge. To compensate him, Jabba addressed the assembled members of Garr Suppoon’s criminal organization, naming Kurp their new master. Knowing better than to disagree with a Hutt, they immediately accepted the change in leadership, and the Pantoran consultant resigned his position with the Empire, at last letting his family’s memory sleep in peace. 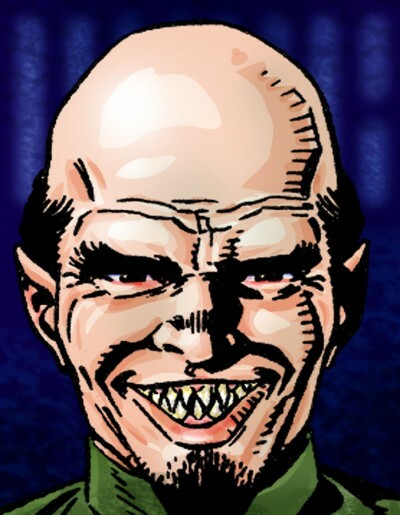 Although his superiors valued Kurp’s skills as a weapons expert, they allowed the resignation…in return for a hefty percentage of the organization’s profits, used to further fund the military.